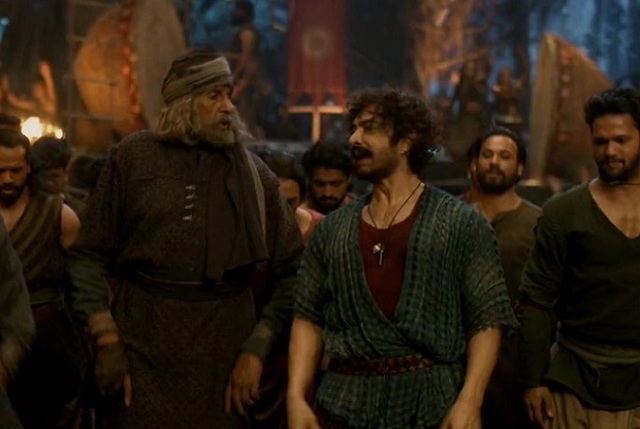 Thugs of Hindostan is showing usual drop now as day 7 (Wednesday) early trends are coming in. Film is registering low occupancy and because of that screens are reduced each passing day. Also, news are coming in that in few cinemas because of no audiences shows are getting cancelled. TOH opened to single digit occupancy of 9% in Morning shows today. Film registered 12% occupancy in Noon shows. As per latest it is registering an occupancy of 18% for Evening and Night shows. Early trends suggest, TOH 7th day collection is trending towards 3.75-4 crore nett mark. These are early estimates from limited samples and hence actual may vary. TOH has collected an approx 133.75 crore nett in first 6 days. At the end of day 7 business will be around 137.5-137.75 crore nett. Film first week (8 days) collection is heading towards 140.5-141 crore nett mark. Shows will get reduced significantly in second week. Also, we might see a big drop in collection on 2nd Friday. If that happens film may struggle to touch even 150 crore nett in its theatrical run in India. Those stupid who chanting Zero is love story read this "Talking about the theme of the Zero, Shah said, he and Aanand L Rai wanted to give a message that it’s alright to be incomplete and celebrate the life." TOH on verge of becoming the BIGGEST BOLLYWOOD DISASTER OF ALL TIME. Congrats Khurana Chutiye. What about bahubali 2? It was last year highest grosser in hindi belt. Dangal was women centric movie. Bauna was a side-kick. His last lead role hero movie was pk (337 cr). And it was beaten by TZH. So no need to bark about Salman. Not 2006,In 2007 Shahrukh's Om Shanti Om was highest grosser of year . Khans na hote tu abi tk 200 cror ko he ro rhy hote .samj ai ...3 khans only Run the Bollywood industries...abe chutiye ki tra ye na khena k 2 movie's hamri bi hn .. hahaa . Bandar Zinda hai was a sequel..
Wo sab chodoo tum log ye batao tumhara bihari chota star lallu Dangal kab cross karega? Ya agla janam Lena padega..
Bechare lallu fans fusslight race3 flop hone ke baad bhi sudhare nahi aur agli eid ko hatrick hogi flops ki..
PK was a 2014 movie and a comedy drama film where as bandr Zinda hai was sequel and action movie also released in 2017.. Still colur not beat PK..
Lallu fans lallu hi rahenge apne bihari chote star ki tarah..
Leave it bro. First some one break Dangal record then we will talk. For now each record apart from first weekend belongs to AAMIR. If lifetime collection will be less than 150 crores what class the movie will come under?Flop, disaster or All time disaster. Looks like Aamir khans flop movie broken first day collection of all Hindi movies. Just thinking if it had got reviews like Dangal what could had happened. Anyway let us see which movie breaks Dangals records and First day record of TOH. Guys just one movie failure wouldn't take away the hard work & quality cinema that Aamir has been giving us for the last 30 years. Although movie is not that bad the way it has been made to. Since the 1st show critics & audiences started trolling it for the reasons best known to them only. It's quite lengthy which could have been trimmed by 30 mins. Anyways in China the shorter version would get released & rest assured the world wide gross of the movie finally would be at least in top 5. Also we shouldn't spread negativity for one actor because of our liking to the other. We should appreciate the hard work at least or the honest effort which always get into making a large scale movie.